Our ability to treat and cure many cancers is one of the miracles of modern medicine, but when the diagnosis is delayed because a doctor missed it in early stages, the patient’s prognosis may become grim. Once the doctor diagnoses the cancer and begins treatment, precious time has already been lost, which often has a negative impact on the prognosis. 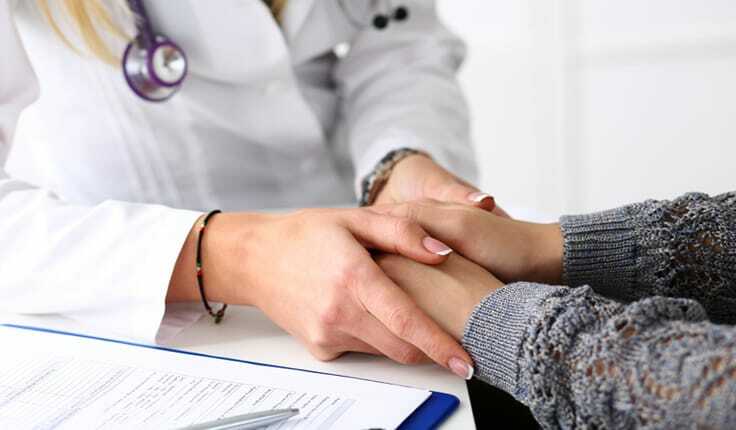 At Yeboah Law Group, we know that a large settlement or verdict for a doctor’s negligence in the delay in diagnosis of cancer will not redeem the time you lost, but hopefully, it will make sure that the same mistake is not repeated. Our Fort Lauderdale medical malpractice lawyers are here to obtain justice for those injured by preventable medical mistakes in the form of compensation for your losses. We can help. How common are diagnosis errors in medical malpractice cases? In an annual study of medical malpractice payouts in the U.S., the largest number of cases at 31% were for diagnosis errors. In Florida in 2016, $248,911,150 was paid out in medical malpractice claims, which is about $12.28 per capita and it represents a 14.29% increase over the previous year. Why is early diagnosis so important in cancer cases? It is never easy to hear your doctor telling you that you have cancer because so often we think that a cancer diagnosis means a death sentence. What can make that scary moment even more terrifying is when the doctor says that you have stage four cancer because somehow there was a delay in diagnosing it earlier. The World Health Organization (WHO) reports that early detection of cancer greatly increases the chances for successful treatment. However, the NIH National Cancer Institute says that effective screening tests for early detection do not exist for many cancers. Even if there is a screening test for a particular type of cancer, many of these tests have not proven effective in reducing cancer mortality. In other words, early detection does not always equal the ability to cure every type of cancer. What do you have to prove in medical malpractice for delayed cancer diagnosis? In deciding whether a delay in diagnosis was negligent, it is vital to have a medical expert investigate and determine whether the doctor’s methodology for arriving at a diagnosis comports with the accepted standard of practice for that specialty. For delay in diagnosis of cancer, rather than proving that the delay was negligent, you as the plaintiff would have to prove that the delay in diagnosing cancer diminished your chances of survival. What injury did the delay in cancer diagnosis cause? Depending on the stage of cancer at the time of diagnosis, and the stage of cancer when the doctor reasonably could have been able to diagnose it, the degree of harm will vary. Sometimes, when cancer is allowed to progress untreated, treatment options that might have been available in early stage might not produce the same results as the disease advances and possibly spreads. Also, some treatments for later stages of the disease might be harsher than those for earlier stages. If you can prove that the delay in cancer diagnosis has significantly increased your chances of death from the disease, you may have grounds for medical malpractice. The skilled Fort Lauderdale medical malpractice attorney team at Yeboah Law Group is here to obtain justice for you when your diagnosis of cancer was delayed due to a medical mistake. We know how to create a compelling case and recover maximum compensation when a delayed diagnosis of cancer has ruined your future. Whether you are facing an injury from your doctor’s failure to diagnose cancer, the misdiagnosis of cancer or a delay in diagnosis, we can help you to understand the legal options available to you and represent your interests as you pursue compensation. Because we take cases on contingency, you do not pay any legal fees until we recover compensation for you. The one thing worse than getting the news that you have cancer might be the fact that it is now in a later stage because the diagnosis was delayed. Now, because of the negligence of a medical professional, your health has been compromised. 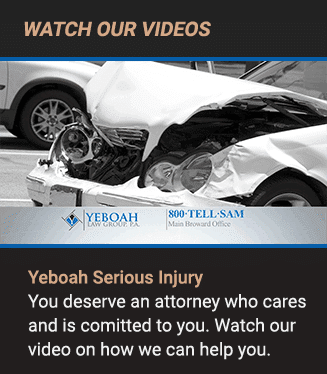 At the Yeboah Law Group, we can help you pursue justice.  Please contact us today to discuss your case and get the answers you have been looking for. You can call 1-800-TELL-SAM or complete our contact form to schedule a free consultation.